Vanessa Handsel Roddenberry, Ph.D. is a licensed psychologist and founder of Breyta Psychological Services. She offers cognitive behavioral psychotherapy and psychological assessment to individuals and couples. She is skilled in treating a wide range of clinical problems and disorders, such as depression, anxiety, trauma and PTSD, stress and adjustment difficulties, insomnia and sleep problems, chronic pain, anger, substance use disorders, compassion fatigue, burnout, self-esteem, and interpersonal or relationship issues. Dr. Roddenberry is a trauma specialist and is highly trained in working with survivors of traumatic events (e.g., natural disasters, combat, moral injury, domestic violence, sexual assault, emotional abuse, physical or sexual abuse, Military Sexual Trauma, accidents) and individuals suffering from Posttraumatic Stress Disorder (PTSD). Dr. Roddenberry frequently works with individuals who have survived acute as well as complex traumas over time, such as a history of childhood abuse, first responders exposed to vicarious traumas, or Veterans who have experienced multiple deployments. Dr. Roddenberry provides trauma-informed care and assessment of Adverse Childhood Events (ACEs) to all clients. She is passionate about helping clients develop empathy and self-compassion for the way trauma or toxic stress can impact their lives and behaviors. She has particular expertise in helping clients foster posttraumatic growth, develop resiliency, and make meaning following trauma. She enjoys assisting clients as they navigate the path from "survivor" to "thriver." She has extensive training in research, assessment, and treatment of PTSD. She uses "gold standard" PTSD treatments of Cognitive Processing Therapy (CPT) and Prolonged Exposure Therapy (PE), within the frame of Acceptance and Commitment Therapy (ACT), to help clients who have experienced trauma move forward with their lives. Dr. Roddenberry is committed to staying abreast of current advancements in the field of trauma-informed care and adhering to best practices. You can read more about the American Psychological Association's clinical practice guidelines in the treatment of PTSD in the recently issued report. Dr. Roddenberry views therapy as a collaborative process in which therapist and client form an empathic alliance as they work together towards the client's goal. Her therapeutic approach is integrative and evidence-based; providing support, skills education, and practical feedback to help clients effectively address personal life challenges and enhance well-being. She employs complementary, results-oriented methodologies such as mindfulness and acceptance based techniques (ACT) to offer a highly personalized approach tailored to each client. With compassion and understanding, she builds on clients' existing strengths to develop resiliency and attain the personal or professional growth they are committed to accomplishing. She believes that every person inherently possesses the strength and values needed to live a healthy and authentic life. She sees the work she does with clients as illuminating these strengths, helping them to gain perspective on thoughts and behaviors that are barriers to change, and providing them with the tools and insight needed to activate their capabilities in order to reach their full potential. The emotional problems that constitute the work of therapy often keep clients "stuck" due to efforts to avoid the pain and discomfort that comes with life. Dr. Roddenberry's therapeutic style helps client's build psychological flexibility by learning how to be more present in their lives, changing their relationship to their internal experience, and helping them move towards their values. Dr. Roddenberry's theoretical orientation: "I'm a Cognitive Behavioral Therapist. Specifically, I am a Third Wave Cognitive Behavioral Therapist, which means that I practice a type of CBT that is cutting-edge. Whereas traditional behavioral therapy was a bit too clinical and cognitive therapy too cerebral, cognitive-behavioral therapy struck a nice balance. What it did so beautifully was use randomized clinical trials to ensure that it was actually doing what it claimed to be doing (unlike therapies of yore that made all sorts of wild claims). Thus, CBT is preferable because it is evidence-based. However, CBT asks you to look at your [problematic] thoughts and then think differently, expecting a different result. While this is effective to an extent, it's pretty impossible. Humans don't actually have that kind of control over what thoughts and feelings come down the pipe. My theoretical orientation is a newer version of CBT called Acceptance and Commitment Therapy, which acknowledges that troublesome thoughts and emotions show up but that there are still things that matter out there. My job as a therapist is to help you not avoid when things get painful or tough; accept that even when things hurt or are hard there is still another side to the experience. In short, I can help you be present, open up, and do what matters. This means that you acknowledge bothersome thoughts or feelings but don't get so caught up trying to suppress, avoid, or change them; rather, we focus on how to stay present despite them and move toward what's meaningful." Dr. Roddenberry received a B.A. in Cultural Anthropology and International Studies from the University of North Carolina at Chapel Hill, as well as an M.A. in Psychology from the University of North Carolina at Wilmington. She earned her Ph.D. in Clinical Psychology from the University of Tennessee. She was selected for predoctoral internship at the Hampton Veterans Affairs Medical Center in Hampton, Virginia. 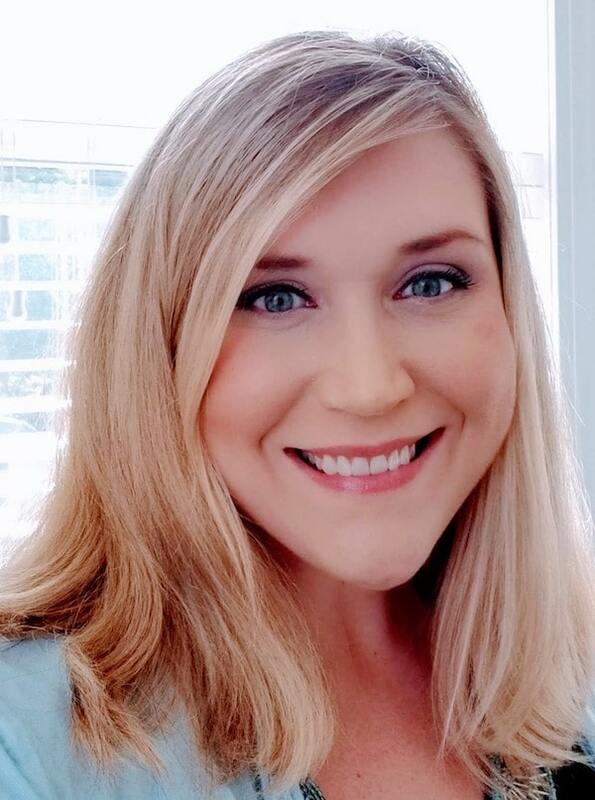 Following completion of her doctoral degree, Dr. Roddenberry was offered a postdoctoral fellowship in Women's Health and Trauma at the Hampton Veterans Affairs Medical Center. During her postdoctoral training, Dr. Roddenberry assisted in the development and implementation of an innovative recovery-based model of patient-centered, integrative health care for female Veterans. Her clinical experience includes work in outpatient, inpatient, and domiciliary settings. She has worked with a variety of clinical populations, such as Posttraumatic Stress, Women's Health, Primary Care Mental Health, Substance Abuse, Military Sexual Trauma, Psychiatric Inpatient, Mental Health Outpatient, and Health Promotion and Disease Prevention. In addition to clinical experience, Dr. Roddenberry has held supervisory and educational roles, such as serving as national coordinator for a collaborative training program on evidence-based mental health care techniques between the Department of Veterans Affairs and the Defense Center of Excellence for Psychological Health and Traumatic Brain Injury. Dr. Roddenberry is also trained in program evaluation and process improvement techniques. She completed Lean Six Sigma Green Belt training through the Department of Veterans Affairs. Dr. Roddenberry is a licensed psychologist and health service provider in psychology (HSP-P) in North Carolina. She is credentialed as a Health Service Psychologist (HSP) by the National Register of Health Service Psychologists. Through the Center for Deployment Psychology, Dr. Roddenberry received in-depth training as a provider in Cognitive Behavioral Therapy for Insomnia (CBT-I), Cognitive Processing Therapy (CPT) for PTSD, and Prolonged Exposure Therapy (PE) for PTSD. Dr. Roddenberry completed an additional six months of case consultation and training through the Department of Veterans Affairs required to become nationally certified in CPT.